When we talk about “grain,” we’re usually talking about the dormant seeds of certain plants in the grass family, such as wheat, rye, or spelt. When ground, these seeds become flour. Whole kernels of wheat (wheat berries) and other grains are complete seeds with bran, germ, and endosperm intact. Under the right conditions, they can be made to sprout, which changes their character, texture, and flavor and may make their nutrients easier to absorb. They're also delicious. Soaking and sprouting whole grains is a simple and ancient food preparation method, and it’s easy to pull off with a little planning. You just need five minutes in the morning to start soaking them. The instructions below can be used for wheat or rye berries, spelt, unhulled barley, or any other kind of whole grain. 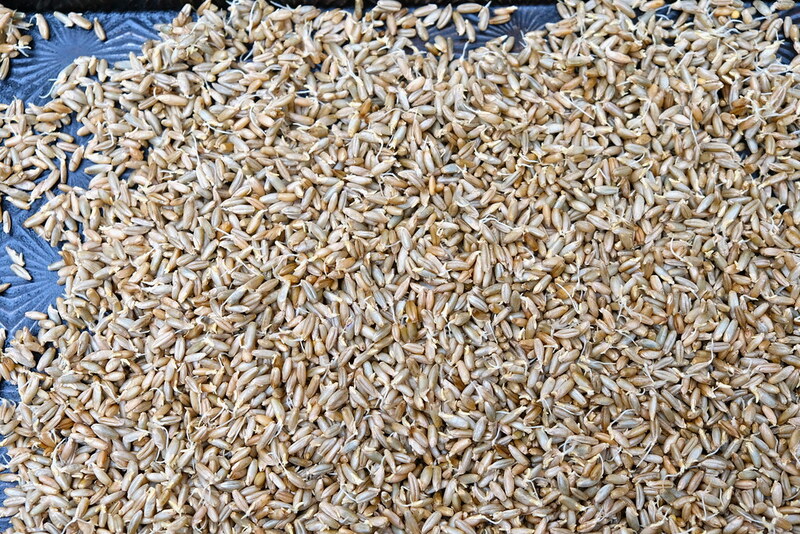 If you can find one, you might try using a heritage wheat like emmer, einkorn, kamut, or farro. These are a bit obscure but are becoming more popular lately. Leave the berries in the sieve and position over an open bowl so that air may circulate on all sides. Cover with a damp towel and leave in a warm location, stirring at least once per day to incorporate air. Often within 24 hours, you will begin to see a small white tip emerge from one end of the grain. This is the radicle—the primary root that emerges to anchor the seed into the ground. More: Grow tasty microgreens in your apartment. You may continue to sprout the grain for another day or two, making sure to keep the towel damp. The longer the radicle becomes, the sweeter the taste and the faster the grain will eventually cook. For every three cups of sprouted grain, use two cups of water and ¾ teaspoon fine sea salt. Bring to a boil over medium-low flame and cook for 20 to 25 minutes or until tender and dry, stirring well in the last five to seven minutes to prevent the bottom from scorching. Serve warm or at room temperature. Cooked sprouts also freeze well when batch cooking. 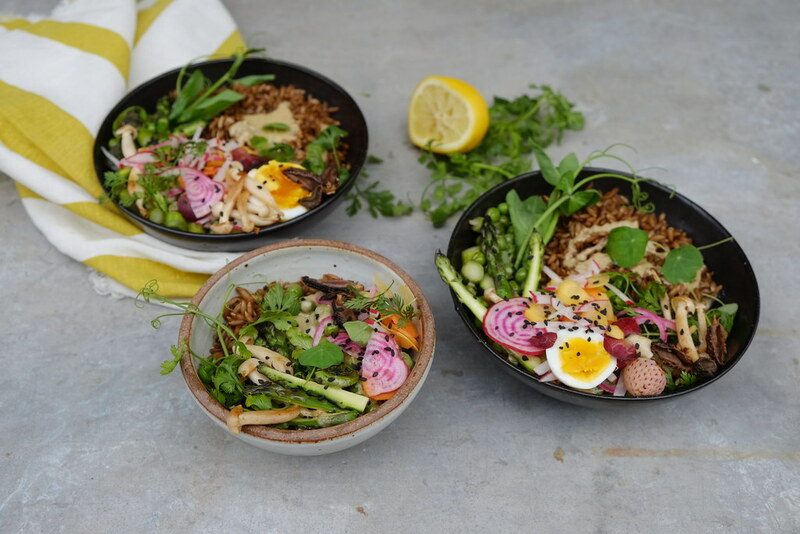 Grain bowls are easily assembled from the contents of your refrigerator, and there many potential variations. The basic building block should be a nutritious cooked grain such as sprouted or soaked wheat, rye, or spelt berries. You can also use quinoa or brown rice. The layers thereafter should include fresh cooked and/or raw veggies, loads of fresh herbs, your protein of choice, and ideally, a sauce of some kind like yogurt, pesto, tahini, or a combination of the three. 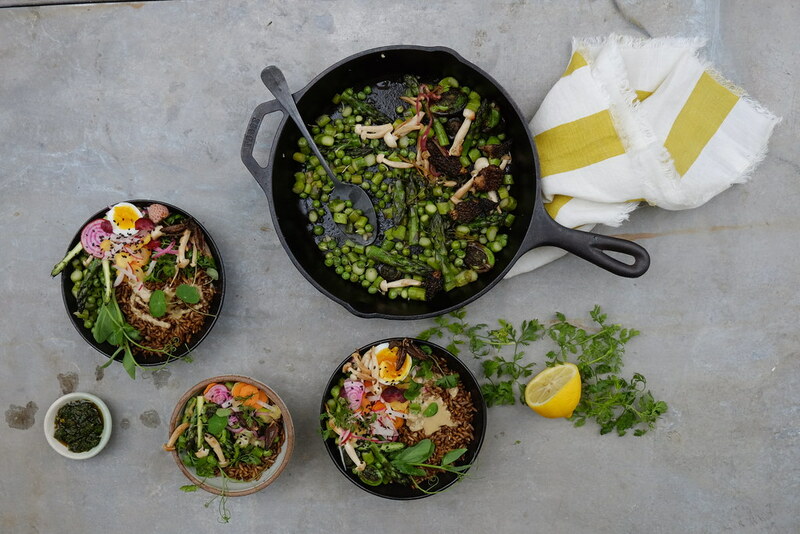 The possibilities are endless, but here's an excellent late-spring combination using asparagus, peas, and mushrooms. Heat the oil and butter in a heavy-bottomed skillet. Stir in the garlic and heat until fragrant, about 30 seconds. Add the asparagus, peas, and mushrooms and season with salt. Continue to cook until tender but still crisp, about 10 minutes. To assemble the grain bowl, place a generous serving of cooked berries in each bowl. Drizzle liberally with tahini and pesto and then place a few heaping spoonfuls of the asparagus mixture over top. Add the fresh veggies if using and garnish with sliced egg, microgreens or herbs, and seeds. Finish with a squeeze of fresh lemon and serve immediately. Stir to combine and distribute the sauce ingredients before enjoying! Sprouted wheat berries. Photo by Sarah Owens. 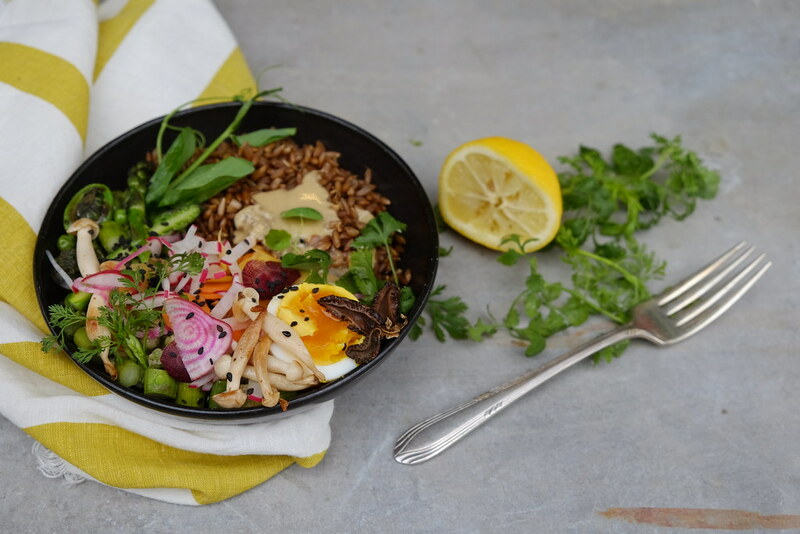 Sprouted wheat berries are the basis of a delicious grain bowl topped with fresh, seasonal vegetables. Photo by Sarah Owens.